Taking photographs in low light is not an easy task. Technically it's demanding in many ways, as to get proper exposures you must make compromises in aperture, shutter speed, and ISO settings which you do not have to make in plenty of light. Many beginner and intermediate photographers quickly realize that night photography cannot be dealt with simply using flash - without any other consideration, direct flash in pitch black leads to the dreaded overexposed-subject-yet-underexposed-background. Motion blur is also a serious issue. 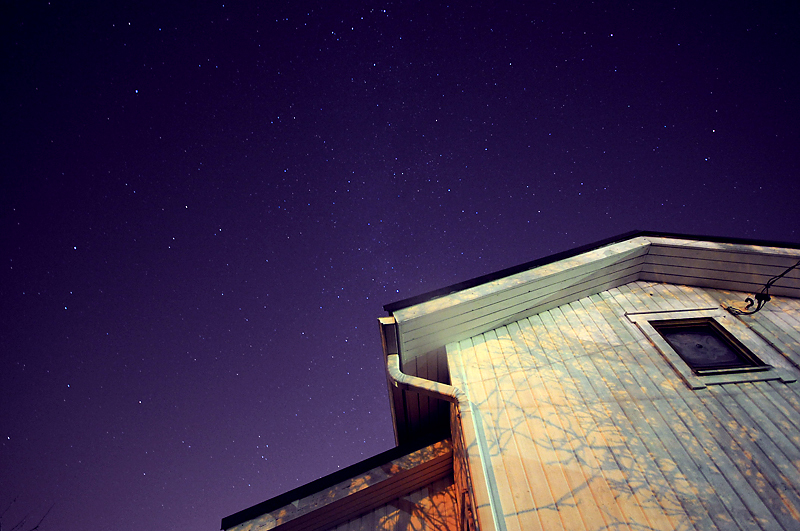 Fear not, however, here are 5 tips that will help you get the best of your night photos! And by that, I mean that you have to choose which way you want your photo to appear. Perhaps you want the background to be pitch black. Or perhaps you want it to be equally exposed as the subject/foreground. You can't touch the camera and trip the shutter before you know what you actually want to achieve! Then, you have to select your desired/needed exposure settings. Since lighting conditions can fool the camera's metering (e.g. due to rogue light sources etc. ), I suggest you use manual mode and manual focus, if applicable/possible. 2) Choose your settings wisely (and hey, shoot RAW. Seriously). Night shots can often include large dark areas. Do not let these be anything other than black! Nothing is (at least technically) more lackluster than black-which-isn't-black. This can happen if your settings are such that don't favor high contrast and/or offer a too bright output (too high gamma setting). In any case, shoot raw and post-process. Make sure the blacks are clipped a bit. This also helps with shadow noise. Tripod is a must with long exposure. And a good tripod, actually. 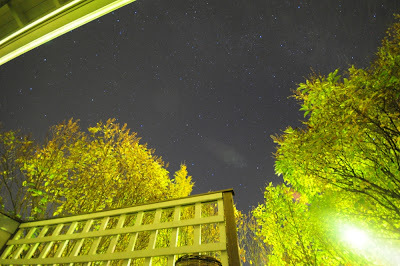 Most issues with night exposures originate from camera shake and lack of sharpness. If the exposure is longer than 1 second, you don't have to worry for shake induced by pressing the shutter button. But if your exposure is somewhere between 1sec and 1/15 of a sec, consider using remote release or at least self-timer. As mentioned earlier, a flash should not be used to fill the scene by itself. But it can add attractive lightning if used together with ambient light. To use your flash properly, meter the scene as if you wouldn't use flash at all. Then, dial the settings onto your camera's manual mode (so, choose shutter speed, aperture, and ISO), and consider what you want to do with your flash. Perhaps you want to illuminate/emphasize a specific part of the scene. Or, you might wanna bounce it off a large surface nearby to create the illusion of a larger light source. Whatever the case, remember that the shutter speed is irrelevant to the flash exposure (which, for a given flash, depends solely on aperture, distance, and ISO setting). In any case, experiment with the settings of your flash, so that you get the output that you want.